Check out these unique, personalized team & coach gift ideas! 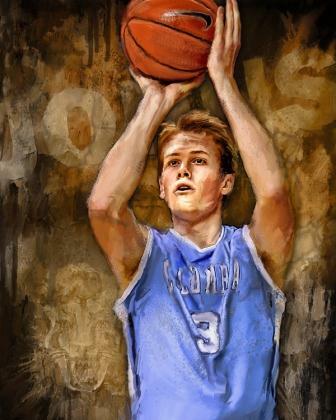 Commemorate that special season, player, or coach with an amazing, one-of-a-kind piece of original wall art created from your favorite sports photos. Want a FREE personalized gift? After playing and coaching basketball for more than 25 years, I have accumulated more than my share of plaques, team photos, and trophies. Most of them have been stored away in boxes out in the garage, but I do have a handful of special, unique honors and memorabilia that have always maintained a place of prominence in my home or office. 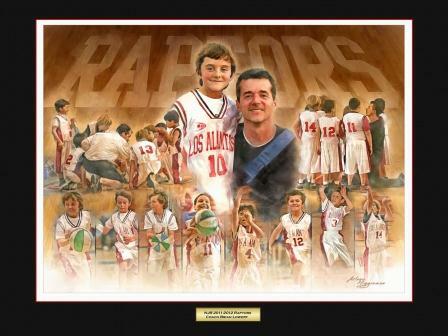 Want to honor a special coach, player, or fan in your life? How about giving your seniors a precious memory they'll have with them always. What a great way to recognize a special achievement or event! My daughter started playing youth soccer at the age of 5 with four other little girls. One of the dads has coached their team for years. Now, they are 13 years old and have remained the best of friends. Our close-knit group of parents fondly looks back on those early years we spent chatting on the sidelines at games, and we can't believe how quickly our now gangly group of adolescents has grown! What a perfect gift for Coach John and the parents if we pulled out some of our favorite action shots and team photos from years ago and captured those memories in what I know would be a treasured keepsake. Visit Art by Arlene LLC at www.artbyarlene.com to order your own personal, original art piece and see lots of other wonderful gift ideas. Use the Promo Code: SLAM DUNK in the Comment Box when you place your order and receive an EXTRA print, absolutely free! See more unique sports fan and coach gift ideas!